Jan V. Roy began her artistic career as a silk-screen artist in 1979, when she received her first commission from the Portland Symphony Orchestra. For 25 years she designed and printed over 40 posters for various cultural organizations including The Nature Conservancy, The New England Conservatory and the Massachusetts Horticultural Society, for whom she designed an annual poster from 1982 to 2000. Jan's highly successful Brooklyn Bridge Centennial poster crystallized attention on her talent, resulting in one-man shows in Rome, Italy and Paris, France. She also maintained a notecard company, Salt Marsh Graphics.. 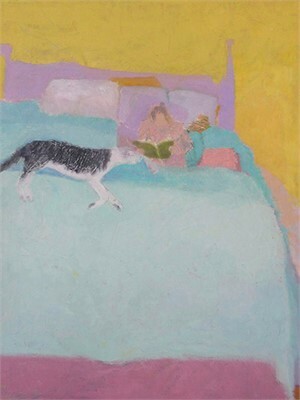 In 1999 Jan turned her attention to painting. 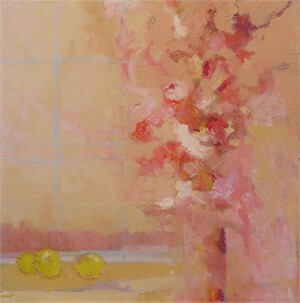 She quickly moved on from pastels to acrylics and oil, and now works almost exclusively in oil. I think too, my many hours of bike riding contribute to the abstract quality of my work. When I'm on a bike I feel disconnected from what I am seeing. The ground becomes a flat plain even when I'm climbing and things become two dimensional and abstract, having little meaning. It puts things into an unconscious state. 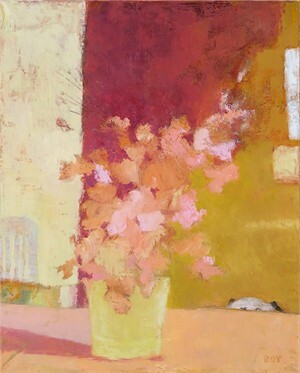 View Jan Roy's Paintings, Surf ,Last of the Fleet ,Lemons, Improvised , Early Summer II Companions on our online marketplace. Jan V. Roy Jan V. Roy began her artistic career as a silk-screen artist in 1979, when she received her first commission from the Portland Symphony Orchestra. For 25 years she designed and printed over 40 posters for various cultural organizations including The Nature Conservancy, The New England Conservatory and the Massachusetts Horticultural Society, for whom she designed an annual poster from 1982 to 2000. Jan's highly successful Brooklyn Bridge Centennial poster crystallized attention on her talent, resulting in one-man shows in Rome, Italy and Paris, France. She also maintained a notecard company, Salt Marsh Graphics.. 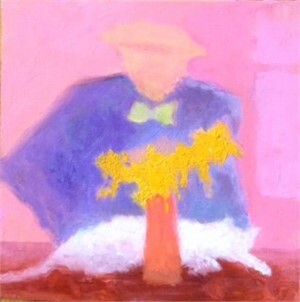 In 1999 Jan turned her attention to painting. 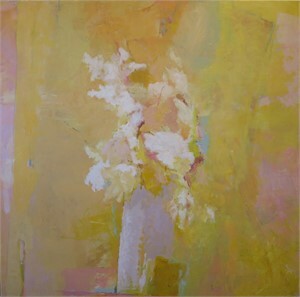 She quickly moved on from pastels to acrylics and oil, and now works almost exclusively in oil. I find I am working with less and less information. Where I used to work from sketches and notes that I jotted down, I now start a painting with no idea where it will go. I find out what's really on my mind by seeing what I have created at the end of a couple of days. Sometimes I might be subconsciously focusing on a moment I had, a place where I was, that I want very badly to get back to. But often I have no idea where a painting is going and more times than not, even if I want to convey a place I have in mind, the painting goes it's own way. 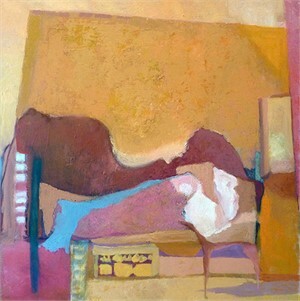 For some time, I traveled to Morocco yearly and that influenced my work. I am drawn to the raw beauty and mystery of the place and as a country of abstract shapes, everything from the land, the buildings, the people and their dress to the few vehicles carrying goods. It was a perfect place for me. Now I find I prefer to travel without thinking about making a painting and it's when I'm in the studio alone that the paintings start to evolve. I continue to sketch where I go, rough sketches concentrating on shapes and composition, but I seldom use these sketches. I make them because it's fun and a nice way to record a place and time. But when I am in the studio and removed from the emotions, distractions and complications of a place, I start putting down paint and I expect, though don't know for sure, that it's color that leads me along, color being the most important ingredient in a painting, or at least the component that I find most exciting. 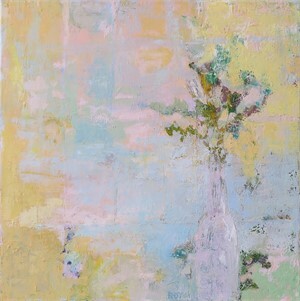 I paint, scrape, cover again, allowing the history of the painting to show through. I think too, my many hours of bike riding contribute to the abstract quality of my work. When I'm on a bike I feel disconnected from what I am seeing. The ground becomes a flat plain even when I'm climbing and things become two dimensional and abstract, having little meaning. It puts things into an unconscious state. 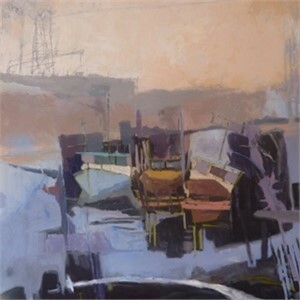 View Jan Roy's Paintings, Surf ,Last of the Fleet ,Lemons, Improvised , Early Summer II Companions on our online marketplace.